Is it OK to eat groceries at the store before buying them? 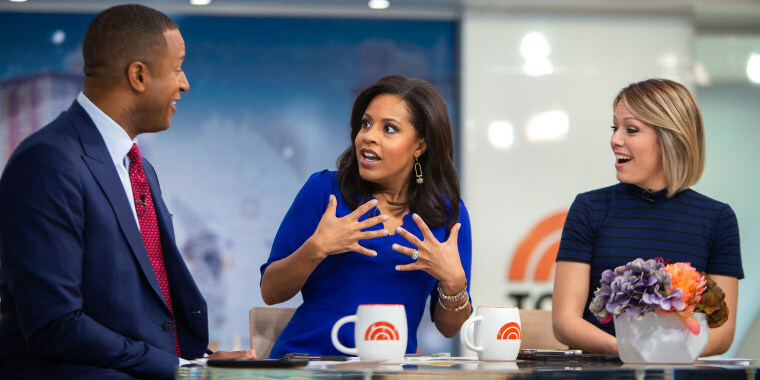 Sheinelle Jones also shared an embarrassing story about snacking before paying. Sometimes it's hard to resist a little snack at the grocery store. While sampling is almost mandatory at places like Costco, Whole Foods and Trader Joe's, not all stores promote munching in the aisles. With a cart full of delicious foods and easy-to-eat-while-perusing snacks, is it ethical to enjoy a chip (or 12) before the cashier rings up the bag? The question divided TODAY anchors Friday morning — and it's dividing plenty of shoppers on Twitter, too. Is it OK to eat at the grocery store before buying? Craig Melvin was appalled by his co-anchors Sheinelle Jones' and Dylan Dreyer's pro-snacking stance, and reacted as if they were advocating for sipping soup directly from the public ladle. "That's called stealing!" said Craig. "You can't wait until you get home to eat the food?" "Have you ever shopped hungry?" joked Sheinelle. "Or seen the line at Whole Foods?" asked Dylan. "I think that, I'm going to go out on a limb, that most of you would agree that as long as you pay for it," Sheinelle said. "And it's not something that needs to be weighed," Dylan added, mentioning items like bananas or bulk foods. TODAY polled Twitter and, so far, the "No, never" category is ahead with 47 percent of votes. Only 18 percent of voters agree with Sheinelle and Dylan, and 35 percent say it depends on the item. Is it ever OK to eat food at the grocery store before you buy it? But a ton of tweeters are in agreement that an in-store snacking policy is basically "Survival 101" when grocery shopping with young children. Depends, are you the parent of a toddler? Another tweeter compared eating before paying at the store to eating before paying at a restaurant. I'll sometimes get something to eat or drink, while I'm walking thru the store. It's also always the first thing I buy as well. I have never not paid for anything opened by me or my children in the store. You go to a restaurant, order food, eat it, then pay for it, no different. Others, however, deemed messy munching to be a "safety issue." There is a safety issue as well. People tend to be sloppy & a piece of wrapper, damp food or liquid could easily cause someone to fall. Crumbs everywhere are never a good idea. Some people, particularly those who claimed to be grocery store employees, supported Craig's stance that eating before paying is, in fact, stealing. As a manager at a grocery store, I view it as stealing if you eat something before paying for it. If you’re that hungry, pay for the item you wish to eat first and then continue shopping. Sheinelle learned this the hard way when she younger. Although the TODAY anchor is still an advocate of enjoying a granola bar as she shops, one attempt to refill her hometown grocery store's "free cookie" container led to a run-in with the cops. Sheinelle dished her dirty little secret to friends and viewers. After school one day, Sheinelle — who asserted to her co-anchors she was a "good kid" and an "A-student" — popped into her hometown grocery store in Kansas with her boyfriend at the time and a friend. Familiar with which cookies the store used to stock its then-empty sample cookie container, Sheinelle took it upon herself to fill it back up. Placing the cookie tin nearby "so it could be accounted for," Sheinelle gave a cookie to her pals, ate one herself and went on her merry way. But as she was exiting, Sheinelle said, the store management brought her back in to have her meet with the local police for her devious act. "I learned my lesson," Sheinelle said. "Clearly not!" Dylan exclaimed. "Clearly you didn't learn your lesson if you're still bee-boppin' around New York City, poppin' into Trader Joe's, eating half the produce." "Come on. You know you've done it," Sheinelle said.